The Pebble Smartwatch is a project funded through kickstarter. Already within only two days from the whopping $ 1 million on the platform could be collected. That shows how much interest is on networked watches. Meanwhile, the Pebble is a real top dog in the market. In the test, we show what she got. The Pebble clock is with Android and iOS compatible and includes therefore a gigantic audience. Pebble was pretty much the first Smartwatch, which in conjunction with an iPhone headlines. But she keeps what it promises? The first-ever Pebble Smartwatch not least makes here a lot, due to their hardware. The Smartwatch will just bring 38 grams and thus falls on the wrist in the weight. Installed the makers have an E-paper display that – our impression is that – no matter whether light or dark, is always good to read. The font is very sharp and makes no problems despite the smaller size of the screen with the resolution of 144 X 168 pixels. Via a single keystroke the lighting can be if necessary easily turn. The watch connects via Bluetooth 4.0 with the Smartphone. In addition, an accelerometer, as well as a 130 mAh battery is installed inside. The latter should hold out whopping seven days due to the power saving screen. That of course depends on the use. But in our tests the runtime was able to convince us. The control of the Smartwatch Pebble is super easy and very self-explanatory. The menu is the standard time display (Yes, it’s actually still a watch) called with the push of a button on the left button. The upper and lower button scrolls you then through the menu, tip on the middle button confirms the selection. Intuitive, although somewhat getting used to poor by eliminating the touch screen at this point. Within the menu, the left button can be used to jump back one menu level upward. About the Pebble app on the iPhone or Android smartphones can make adjustments also, such as installing apps. Features: What has the Pebble on it? According to computergees.com, the Pebble Smartwatch is basically a digital watch, only in conjunction with an IOS or Android Smartphone works. So, for example, incoming calls, emails or Facebook / Twitter messages be displayed. Nearly all push notifications that arrive on the phone, appear in an active Bluetooth connection on the clock. In addition, Pebble provides an in-house app store with third party apps customized specifically for the watch. Virtually no limits are set functions. 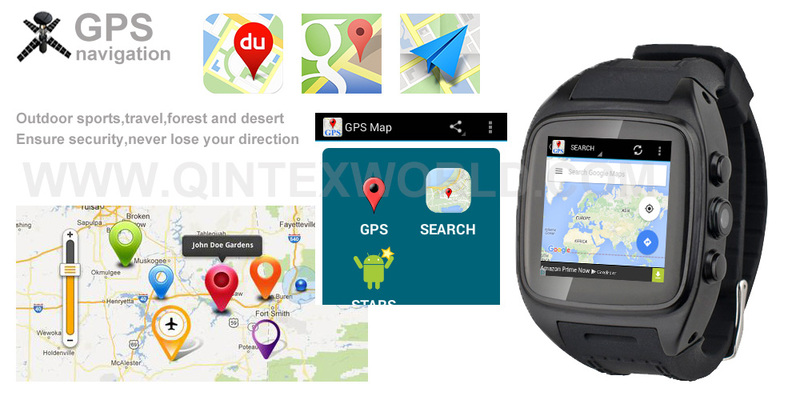 There is for example an app that makes a Sports Tracker for runners and cyclists using GPS Smartphone available. The music control, sports analysis software applications and many other programs are available as well. The Pebble Smartwatch is a top dog on the Smartwatch market anyway. Of us there is a thumb especially due to the numerous capabilities due through the app store high. The design is convincing – does not speak to whom, can look at the Pebble Steel itself. Also through the operation and the unique, somewhat nostalgic-looking e-ink display, the Pebble Smartwatch makes here a lot. ARM Cortex-M3 processor with 1.26 inch e-ink display (144 X 168 pixels). 130 mAH battery (7 days). Who is interested in purchasing the Pebble Smartwatch, can look around here.